Statistics show that, in the United States, over ninety percent of the public responds positively to creative vehicle wraps. Statistics also clearly show that a vinyl graphic advertisement will be viewed between thirty and seventy thousand times per day. That is the equivalent to around thirty-eight million or more impressions in the lifespan of that vinyl wrap! There is no other form of advertising that comes close to comparing to the cost-per-impression ratio of a vehicle wrap. 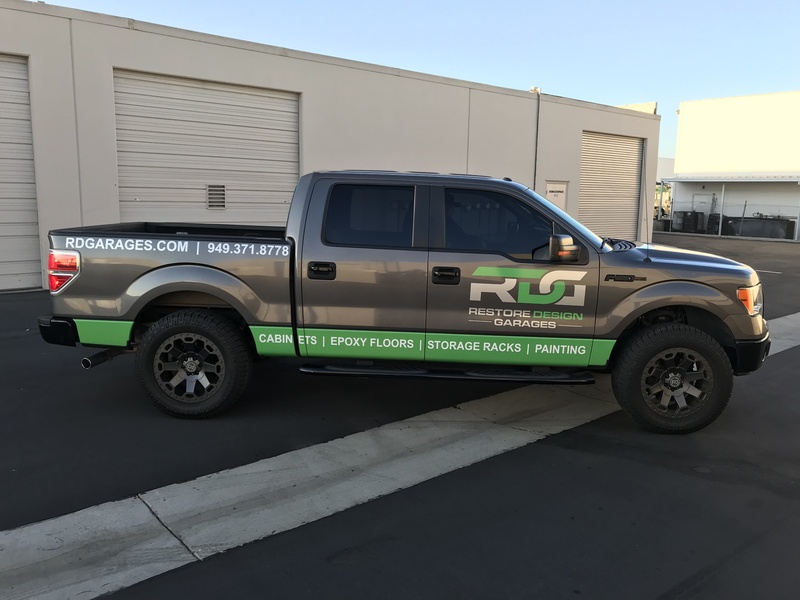 Your choice of vehicle wrap should uniquely represent your business and its mission. You only have a few seconds to make an impact, so your graphics should be simple, illustrative of your business, pleasing to the eye, and incomparable to others of its kind. Unlike other forms of advertising that are confined to buildings or billboards, vehicle wraps have no restrictions or guidelines. You can design your own advertisement custom to your exact needs because you are advertising on a medium that you own. Therefore, your vehicle wrap can be as impressive as your imagination permits. This, in addition to the fact that your car is always on the move, means that while the car/van/truck is going to appointments or making deliveries, it is also functioning as a traveling advertisement. At Full Sail Graphics & Marketing we specialize in vehicle wraps as well as several other important marketing tools such as: signs, displays, banners, and window & wall graphics. We like to emphasize that, unlike other forms of advertising, our products are cost efficient, long lasting, and memorable. Check out our photo gallery to see the impressive products we create, and contact us today for more information on how Full Sail Graphics & Marketing can be the power behind your brand!